Since the way people buy has changed, your content strategy must reflect these changes if you want stay in the game. You need to be strategically thinking about your content strategy and how you can create content that will provide prospects with the information they need, before they even know they need it. This will help guide prospects through each stage of the buying process, also known as the buyer’s journey. If you can create content that is highly relevant and unique to your consumers for each stage of the buyer’s journey, you’ll begin to see a huge boost in leads and conversions. In this article, I’ll be providing five actionable tips that will help you develop an effective content strategy for your business. Taking a personalised approach with your content strategy is exactly what it sounds like. It’s based on knowing your buyers at a deeply personal level, their unique goals and pain points, and how your business can help them. If you’re looking to boost conversions and sales, it’s crucial your content strategy aligns with the way people buy. How do you do this? By knowing your buyer. You need to know who they are, their job title, the industry they work in, their unique problems, their goals and what information is important to them before making a purchasing decision. 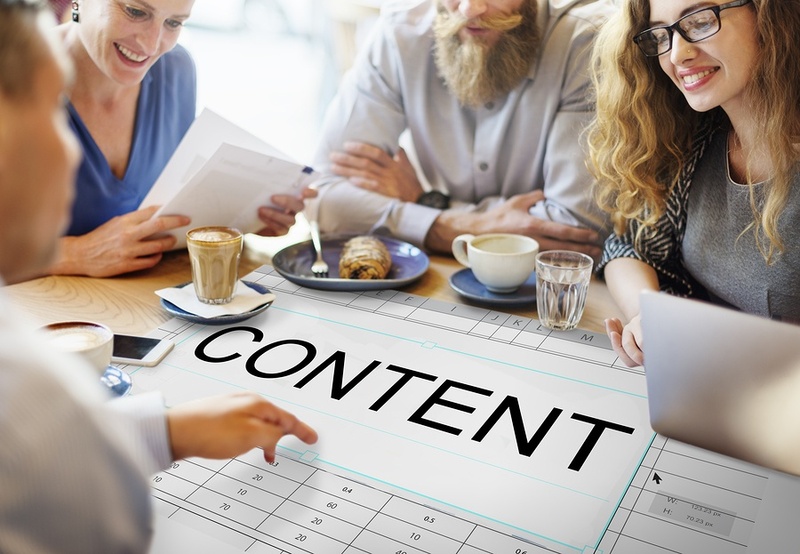 When creating an effective content strategy, it’s important to leverage your data. Look at your website and email analytics to determine the most viewed website pages, the most popular blog topics, which offers get the highest click throughs and which email subject lines get the most opens. Leveraging your data is useful as it helps you identify the topics your audience finds most valuable and are likely to read. Analysing your data will provide you with the insight to better understand your buyers so you can publish highly relevant and valuable content. An effective content strategy means making sure you only create content that is valuable and relevant to your target audience. Creating content for the sake of publishing content no longer works. Relevant and valuable content positions you as a thought leader which helps to establish trust and credibility with your buyers. It also shows you understand your buyers and what is important to them. This will boost the likelihood of your content being shared which in turn will increase your reach and branding. The buyer’s journey can be broken down into three key stages: awareness, consideration and decision. These days, consumers expect brands to provide them with the information they need at each stage of their buyer’s journey. That is why it’s important your content aligns with each stage of the buyer’s journey. At each stage your buyers are looking for different information, to learn more about aligning your content to the buyers’ journey read this article. As good as your content may be, it isn’t going to achieve anything collecting e-dust. You need to make sure your buyers can find it. The first thing is to make sure you’re using the right keywords in your content to ensure it shows up in searches. The second thing is to understand where they spend time online, and who they trust. Is it LinkedIn, Facebook, Instagram or an industry forum? Whatever it is, publish links to your content in these sites and if needed pay to boost your posts to the relevant audience. The third thing is to publish your content on third party sites your buyers trust. This might mean writing a blog article for an industry organisation, inviting an influencer to write for your blog or creating something of value like research or a webinar with another organisation whose followers represent your buyers.